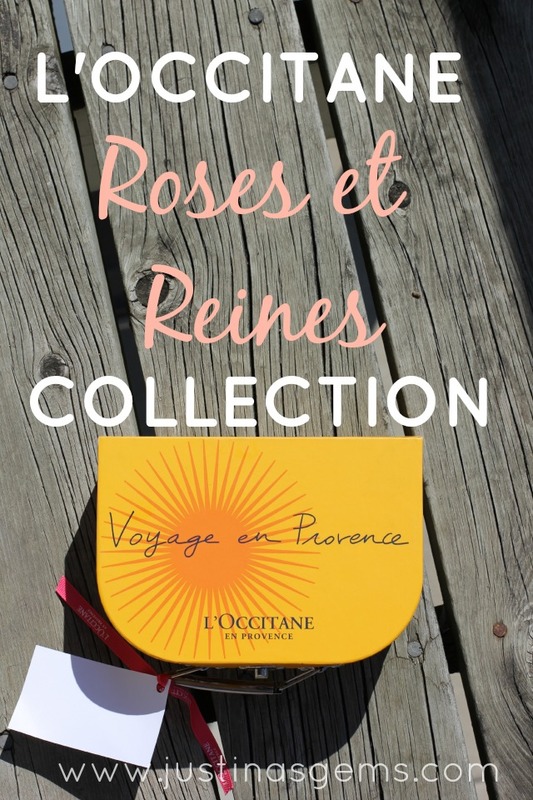 L’Occitane Roses et Reines Collection- NEW! One of my favorite brands EVER just launched a scent that is one of my favorite scents EVER and I am pretty much in heaven over here. I am obsessed with all things rose- the scent, the color, the flower- you name it. The story behind this fragrance collection is kind of neat. There were four daughters of the Count of Forcalquier in Provence, and each loved roses. 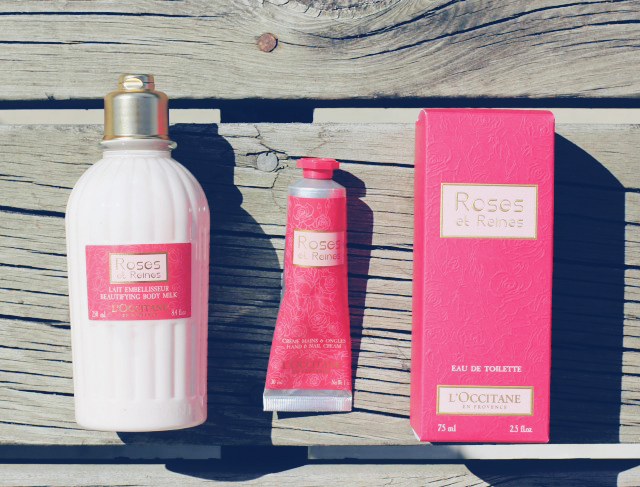 To be specific, each loved a different rose- the Grasse rose, Bulgarian rose, Moroccan rose, and Turkish Rose. The four roses that they cherished are brought together by this scent, Rose et Reines, This collection uses rose extract derived through enfleurage, a process where the rose petals are steeped in oil, allowing it to become saturated with the natural fragrance of the rose, resulting in a fruitier scent. 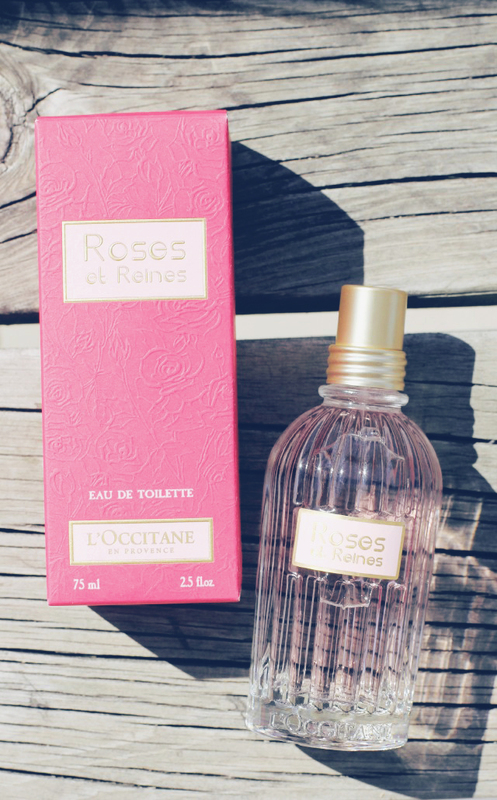 The Roses et Reines collection is such an amazing rose scent. It is so fresh and clean, and not overwhelming at all. I find myself wearing it almost daily. I have been testing out many perfumes lately and I find myself having to pry myself away from this to wear other things so I can write about those. My collection came in a cute little latched box that you can see above, although I’m not sure how they are packed in store. My daughter has loved using that box as a toy purse. It’s so cute! The Beautifying Body Milk is my favorite way to extend the scent of this fragrance. I love that the bottle is just as big as the Eau de Toilette and it will last forever! It is fragranced in the same scent and is an amazing way to help the scent linger for longer. It is a thin consistency and sinks into my skin immediately. I am always surprised by how well I love the Hand & Nail Cream that come in these matching fragrances. I really have to remind myself to apply hand lotion most of the time, but when I carry L’Occitane’s with me, it is a no brainer and I always remember because they are so nice and nourishing. This one is enriched with shea butter and vitamin E and helps nourish, soften, and protect hands while helping to strengthen the nails. It carries quite a bit of fragrance with it, so if I am just dying to get a little more of the Roses et Reines scent, I can apply a little bit of this rather than spraying more and choking everyone around me! And of course, the star of the show is the Roses et Reines Eau de Toilette. This is truly a favorite of mine lately. It’s so fresh, soft, and floral yet not stuffy at all. It’s just right for me. 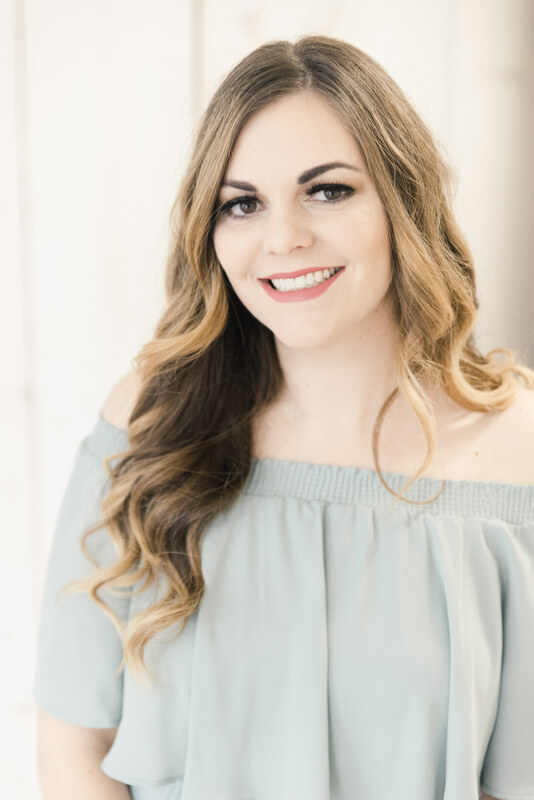 My skin chemistry changes a bit in the winter, and also when I’m not pregnant, so I’m curious what my opinion is in a couple months. I have a feeling I’ll love it even more! I have a very picky nose these days being so pregnant, and oftentimes scents I usually love make my stomach turn. This one is just perfect for me right now but I know it will be a favorite even when my nose is back to normal! I am loving everything in this line but wanted to let you know of some other little goodies I have my eye on from the line. If you are new to L’Occitane and thinking about trying this, get the Traveler’s Fragrance Collection! You get three mini perfumes in Verbena, Cherry Blossom, and Roses et Reines. I have tried and loved all three of these scents, and I know you will love them too. 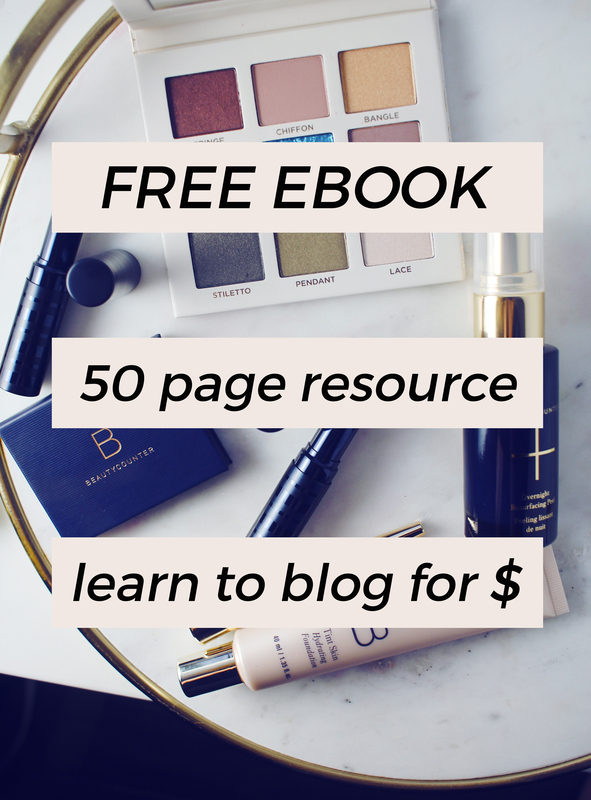 The price right now is $22, which is unbeatable! For travel, I also have my eye on the rollerball perfume and the solid perfume. The last thing I need is the Face and Body Spray. It looks amazing, and I am obsessed with facial sprays. A rose by any other name….LOL! I love their packaging. I bet they smell divine! I may need that traveler’s set, after your rave reviews of this and the verbena fragrances! MMM. I love things that smell good. I need to smell this line ASAP! So i hate the smell of roses but I love pink so I kind of want to buy this collection because of the packaging.